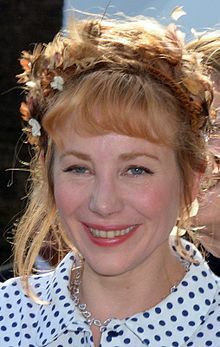 Julie Marion Depardieu (born 18 June 1973) is a French actress who has appeared in a number of successful films. Born 18 June 1973 in Paris, she is the daughter of Gérard Depardieu and Élisabeth Depardieu and the sister of the late Guillaume Depardieu – all of whom have worked as film actors. She has two paternal half-siblings: half-sister Roxane and half-brother Jean. She has two sons, Billy (born 16 June 2011) and Alfred (born 8 August 2012), with her partner musician Philippe Katerine. 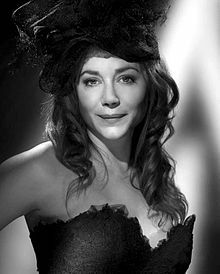 In 2004, she won two César Awards (Best Supporting Actress and Best Young Actress) for La petite Lili and won another (Best Supporting Actress) for Un secret in 2008. Depardieu was also nominated for a César Award for Best Supporting Actress in 2005 for her performance in Podium. In 2008, she also directed her first operette les contes d'Hoffmann (Tales of Hoffman) at the Vaux le Vicomte castle, the castle which inspired king Louis XIV to build Versailles. ^ "Julie Depardieu". Gazillionmovies. Retrieved 2009-04-23. ^ "Julie Depardieu". AlloCiné. Retrieved 2011-09-19. Wikimedia Commons has media related to Julie Depardieu.